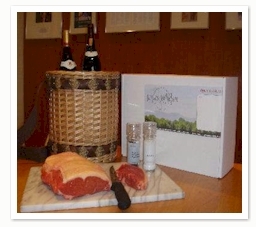 We specialise in creating unique and memorable hampers for corporate clients. Whether it’s to reward achievement, to enhance customer relations or to say thank you, we will be happy to put together a hamper that will be perfect for the occasion. As well as our quality meat, we can include a selection from the wide range of artisan food products we stock as well as wine, cooking accessories and preparation tips. Hampers are presented in a beautiful temperature controlled wicker basket, and we are also happy to include your promotional items also. If you would like to speak to someone about creating a great hamper for your business, please get in touch and we will be delighted to make suggestions and recommendations.